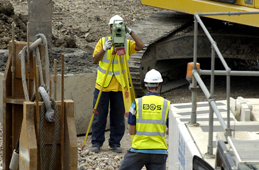 SES is a multi disciplined company which provides land and engineering survey services throughout many sectors. With fixed price solutions provided, our clients can be satisfied that cost overruns will not occur. Structural Monitoring - provides valuable information for engineers on a project, it aids in the analysis and evaluation of structural movement caused by external influences and/or by design faults. 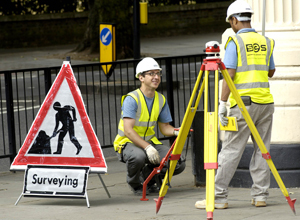 Construction Surveying - The establishment of accurate primary survey control, setting out structural features/geospatial points and the reporting of as-built information. Land & Building Surveying - The representation of the earth surface and it's features as topographical drawings, building plans, elevations, sections and 3D models. Our resourceful survey teams are working throughout the UK capturing key data used for topographical surveys, building surveys, land surveys and structural monitoring. Browse through our services by clicking the links on the left and see what SES can do for you. If you have any questions please call our head office.